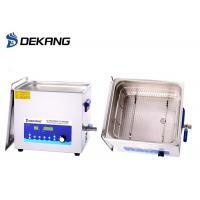 Power adjustable ultrasonic cleaners are suitable to clean irregular and complex specialized instruments, components and PCBs of sundry shops, workshops, factories etc; smash, emulsify, scatter, hydrolyze, extract, degas certain analyzed stuffs in labs. All Dekang’s standard products have achieved most international standards, such as CE certification, RoHS certification, FCC certification etc. Besides, all no-standard products also can satisfy all requirements of these most international standards. 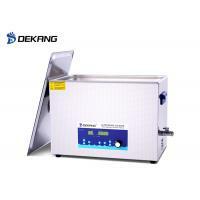 Shenzhen DeKang Electronic Cleaning Appliances Co., Limited is a comprehensive new high-tech enterprise which focuses on the research & development, production and sale of household, commercial, laboratorial, industrial high-power ultrasonic cleaners etc. Especially, we also can customize non-standard products according to customers' requirements. Our R&D department can be divided into five sections: mechanical structure design section, electronic design section, software developing section, graphic design section, testing section. All members are excellent engineers who have at least 5 years' R&D experience. They are good at introducing most advanced technologies in the world into our products and make some innovative improvement. 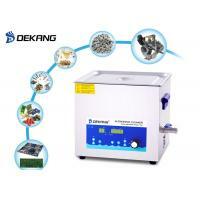 Now our products are composed of household ultrasonic cleaners, multifunctional sweep ultrasonic cleaner, power adjustable ultrasonic cleaner, smart dual-bands ultrasonic cleaner, digital ultrasonic cleaner, mechanical ultrasonic cleaner, industrial ultrasonic cleaners, submersible ultrasonic transducers etc. All of our standard products have achieved most international standards, such as CE certificate, ROHS certificate, FCC certification etc. 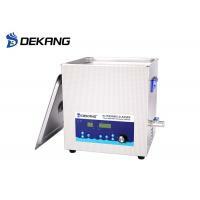 Besides, DeKang also have strict examining procedures for controling the quality of non-standard products. 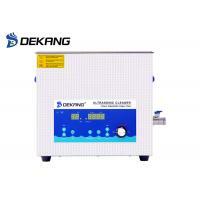 Shenzhen DeKang Electronic Cleaning Appliances Co.,LTD is a comprehensive new high-tech enterprise which focuses on the research & development, production and sale of commercial, household, industrial high-power ultrasonic cleaners etc. Especially, we also can customize non-standard products according to customers’ requirements. Our R&D department can be divided into five sections: mechanical structure design section, electronic design section, software developing section, graphic design section, testing section. All members are excellent engineers who have at least 5 years’ R&D experience. They are good at introducing most advanced technologies in the world into our products and make some innovative improvement. Especially they also pay much attention to cooperation with some institutes or excellent professors of colleges in China. Besides, we also spend a lot of money on purchasing new advanced equipments for R&D and production of new products every year. Now our products are composed of household ultrasonic cleaners, smart ultrasonic cleaners, digital ultrasonic cleaners, mechanical ultrasonic cleaner, industrial ultrasonic cleaners etc. All of our standard products have achieved most international standards, such as CE certification, RoHS certification, FCC certification etc. 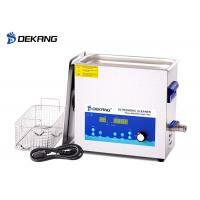 Besides, Dekang also have strict examining procedures for controlling the quality of non-standard products. 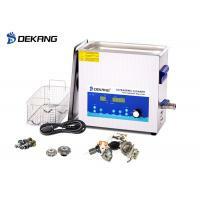 As to DeKang’s VIP customers, they can get latest product information and free samples of our new products which cost less than a certain amount when they just appear on the market. 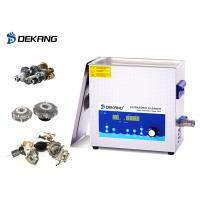 Besides, Dekang provides 1 year’s warranty for all of our products. Any defective products may be replaced by new products unless they are broken intentionally. Moreover, Dekang launches several online inquiry platforms and technical discussion forum. Any customers can make an inquiry or ask technical questions online. Especially, customers can follow Dekang on Facebook, Twitter, VK, Linkedin, Google+, Youtube etc. Customer-oriented! Professional! Good faith! Continuous innovative! Rigorous! 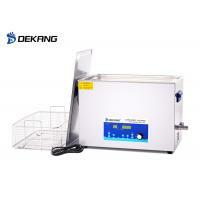 Dekang always pays attention to cooperation with partners, and tries to make a win-win situation with them. Be serious with their requirements, spare no effort to satisfy them. 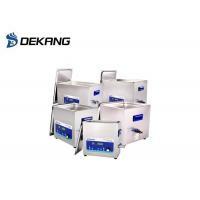 DeKang, your super partner!